Bring a bit of colour to your bathroom with the Retoro 3 litre cosmetic pedal bin from Wenko. 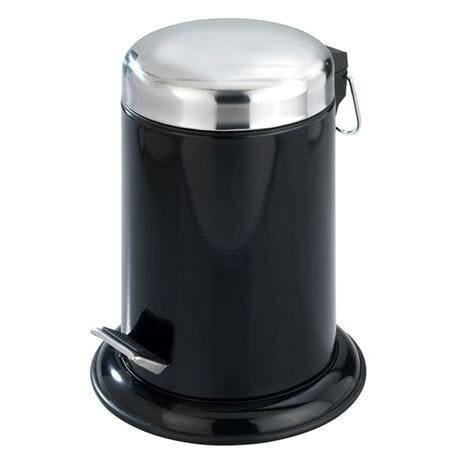 Made from high grade stainless steel with a excellent painted finish and available in a wide range of trendy colours, this stylish modern retro cosmetic pedal bin would make an excellent addition to your contemporary bathroom or cloakroom. The Retoro cosmetic pedal bin is the perfect solution to storing away any cosmetic waste you will have around the bathroom, creating a clean and hygienic environment. Its design is a stunning display of quality build and is made from a highly durable stainless steel, which can withstand the daily uses of the bathroom. Never shopped on here before so I didn't know what to expect. Needless to say, I shouldn't have worried. The bin came promptly and was so well packaged, it would have survived any shipping mishap. It arrived in perfect condition.To top it off, the bin is excellent! The colour is perfect as is the size. We'll built and should last a long time. I just had the entire bathroom redone and is a fantastic complement to the new room.Been sitting trying to think of a negative and I just can't think of any. Glad I bought it.